Clawson, MI – Finding places where I feel comfortable writing that also have great food and good internet can sometimes be a challenge. 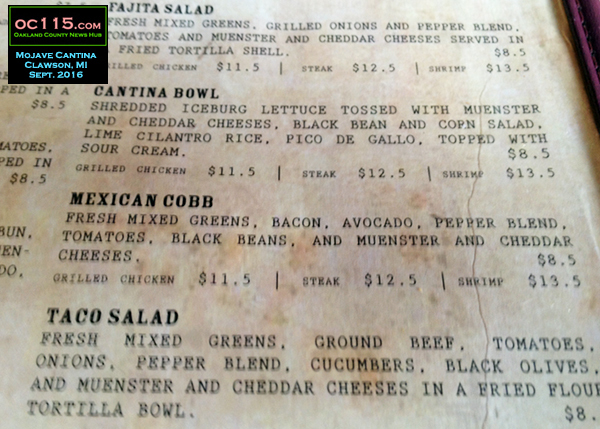 But thankfully I’ve discovered a place in Clawson that is a delicious writing spot: Mojave Cantina. When my internet was out at the oc115 World Headquarters earlier this month, the kind folks at Mojave let me spend a fantastic afternoon tapping away on my keyboard while slowly savoring a well-rounded meal. By well-rounded I mean that I indulged in both booze and desert, along with a salad. Not that the salad was particularly healthy or anything. 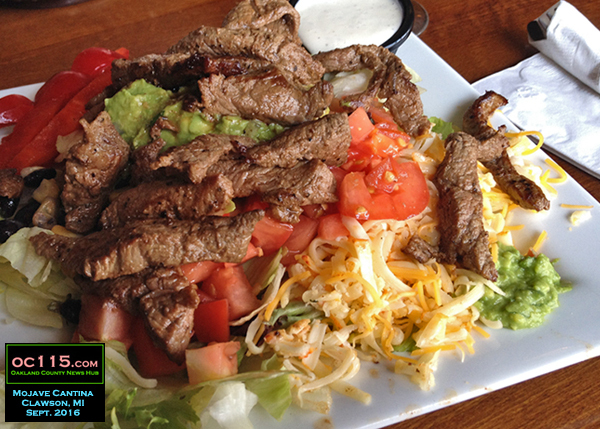 I got the Mexican Cobb with steak, which I think was more steak than lettuce. And of course there was tons of cheese too, along with the lettuce that was buried underneath. Plus guacamole, tomatoes, and peppers and ranch on the side. The meat was tender and flavorful so I didn’t even bother adding the dressing. 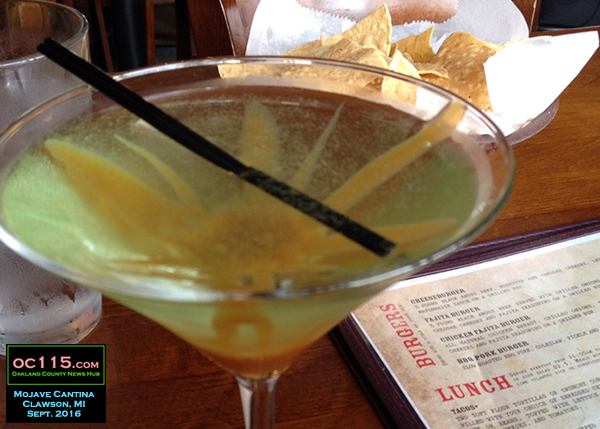 To go along with it, I had a caramel apple martini, which was not only tasty, but pretty too since they made the caramel look like a starfish in the bottom of the glass. 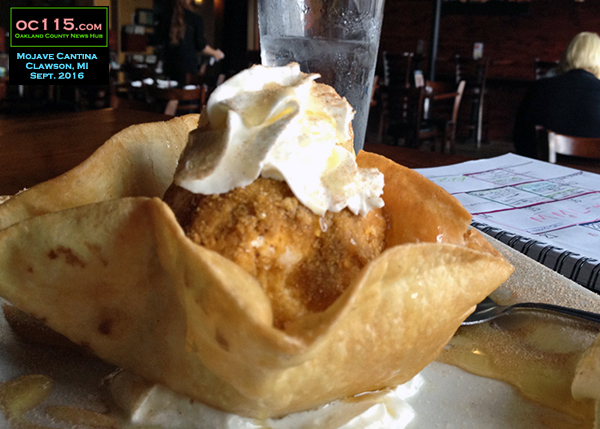 Lastly I splurged on fried ice cream, which was every bit as sweet and delicious as you might imagine. 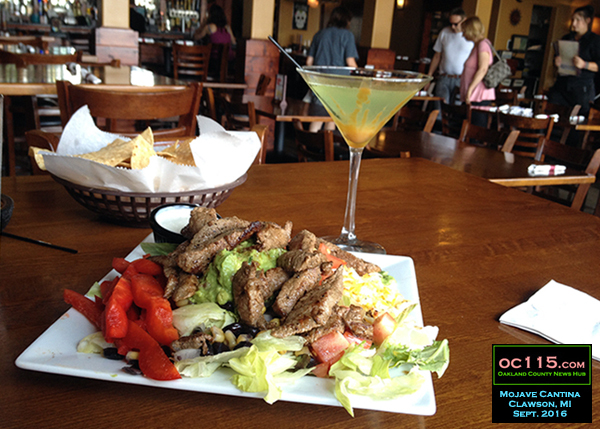 Mojave Cantina is located at 48 W. 14 Mile Road, Clawson, MI 48017. For more “Reporter Food” columns go to http://oaklandcounty115.com/category/blogs/food-blogs/.